When I was at the Dupont Circle Farmers Market last fall, signing cookbooks on what must have been the coldest, windiest day in October, a man walked diffidently up to me, holding out a couple bottles of vinegar. Indeed! Lindera Farms Vinegars are among the most complex and interesting vinegars I’ve tried, vinegars that add panache to just about everything you use them in. They’re great in salad dressings, but where they really shine is splashed onto vegetables, into soups – or even on desserts, where their intensity acts as fine counterfoil to the sweetness of say, a caramel sauce. The vinegars, which are used by many chefs, aren’t easy to find. But here’s one place you can order them; if you do it now you should have your vinegar in time for Christmas. Cooking friends will thank you. Perfect timing! This week I came across an old Flemish recipe for red cabbage which calls for honey vinegar. I’ve never seen it at any market in Santa Barbara so I’m going to buy this one from Lindera Farms. Looks like a fantastic addition to my pantry. Thanks! Thank you so much for the kind words Mrs. Reichl, I can’t tell you how much it means that you like the vinegars! Just so your readers have some other options, I wanted to put out that Foodlyn (http://foodlyn.com/collections/lindera-farms) carries some of the vinegars, and that a portion of their profits go to non-profits focused on fighting hunger in the US. Thank you so much again and if you ever need more, don’t hesitate to email me :)! 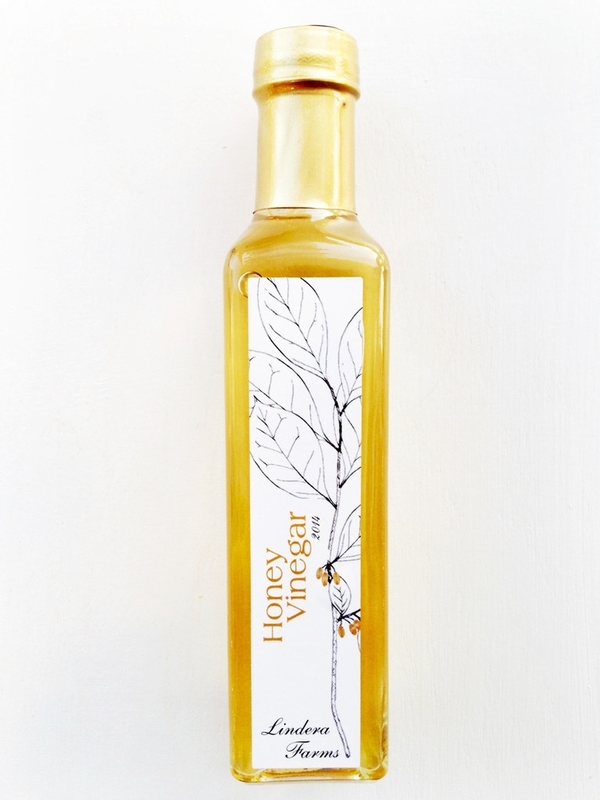 Hi, I just purchased the Wild Camomile and the Honey Vinegar from Foodlyn.com. I can’t wait to try them and it makes me happy to know that a percentage of the cost will be donated to fighting hunger. Thanks for the great tip! Love these vinegars! We have been using them for a couple of years now. They are for “foodies.” My husband and I love them and use different flavors for different purposes. A perfect compliment to a foodies kitchen. I give them as hostess gifts.